Material: made of HDPE from 20micron or LDPE/MDPE from 25 microns and printing up to 12 colors by Gravure/Flexo. Advantage: the bags will hold up against bad weather and possible forceful packaging, so you can be assured that your products and labels will stay untarnished, not damaged or lost during the delivery process. These bags are durable and strong construction so can protect your items from exterior elements. Mailing bags are a good water resistant option for your mail instead of paper envelopes. 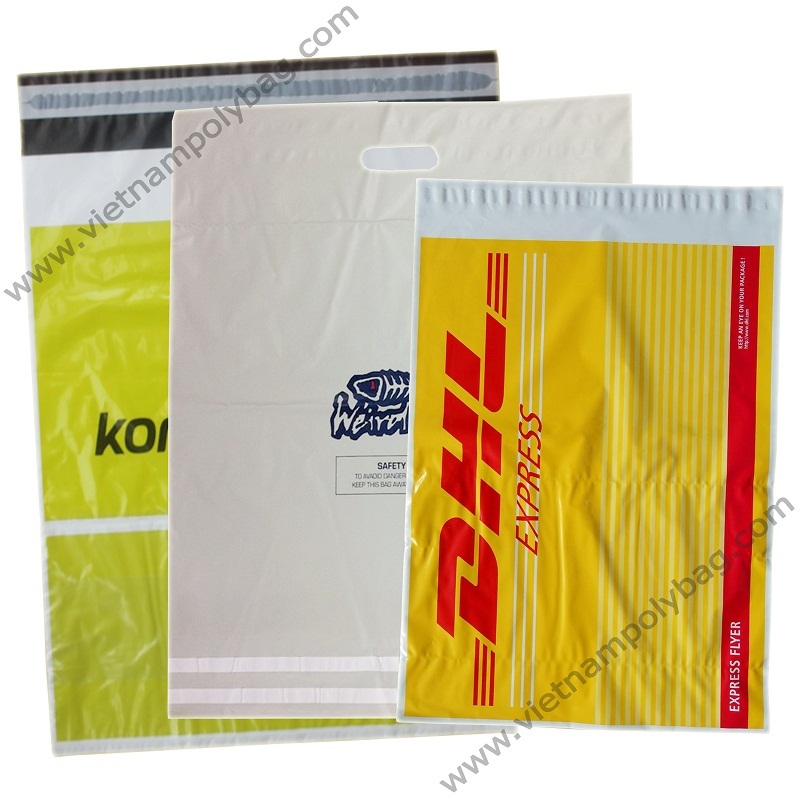 Usage: These bags are perfect for distributing brochures and catalogues.